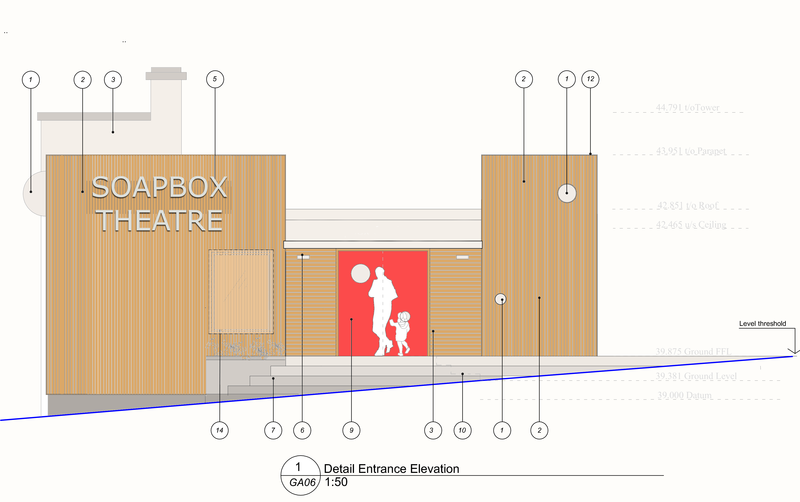 Stiltskin's Soapbox Theatre is almost at the first phase of completion, but we need a little extra support to make this a real showstopper. If we do go beyond then firstly THANKYOU! it's down to you that we are here. The project has many more elements to make it even more special including an acoustic wall between the foyer and theatre. This will really change the use of the space giving us two rooms to use for functions, rehearsals and meetings and to make sure the auditorium is sound proof when there is a show on or workshops. Help us to get there and we are rocking! Help us to complete stage one of our vision to create a theatre for children, young people and their families to experience cultural projects from theatre shows, arts projects, festivals and environmental projects all year round. 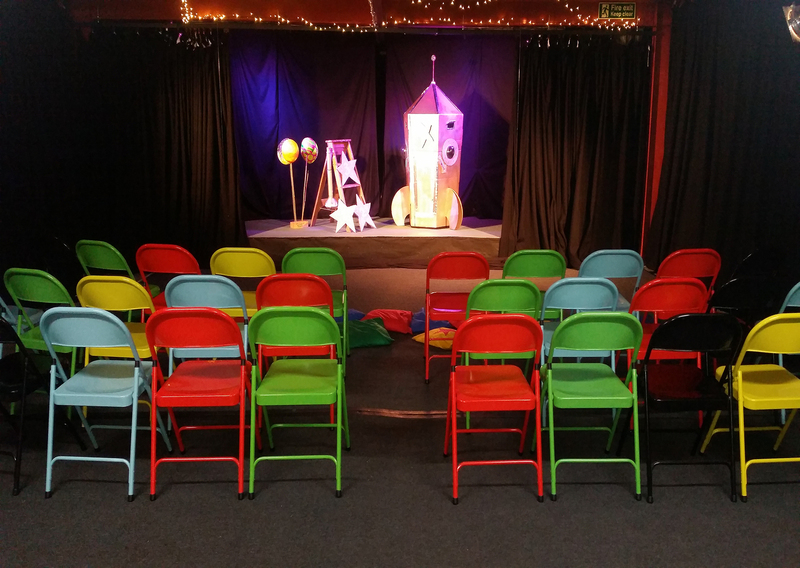 The award winning Soapbox Children's Theatre is a place where children and their families can experience theatre and get involved in arts projects all year round. The theatre has already instilled pride in the local community through the re imagination of a semi-derelict building, within the beautiful conservation area Devonport Park, Plymouth. With opportunities for new staff and volunteers to join us. 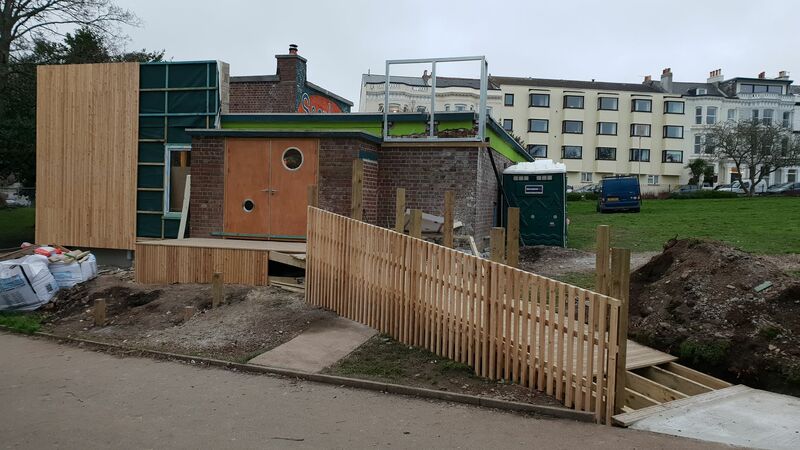 We are so close to finishing our first stage of development which will include new toilets and running water into the building (the first time in 40 years), an accessible front entrance with double doors and ramp for wheelchair users. We have found, however, that as more things come in to finish the development, we are a little under budget and we need to raise some extra funds to ensure the work is finished to the best quality. With your donations you can help us complete this positive project for Plymouth, that will be a legacy for children in the region and beyond. Stiltskin took on the semi-derelict building in 2014. It had been built as a mustard gas decontamination unit in WW2. When we walked in it was dark, leaky and miserable but we had a vision to make a space for children where they could experience cultural activity all year round. Over the past 4 years we have done just that. The fun video was made by our sons and their friend 4 years ago. It shows what our vision was/is and what the space looked like then (not to mention how cute they were then). Stiltskin Arts & Theatre CIC work with children and their families using cultural activities such as theatre, storytelling and arts and crafts to engage children and young people, supporting healthy minds and bodies and encouraging them to discover the world around them. We have been working in Plymouth and the region for the past 19 years. We have worked with thousands of school children enriching their curriculum's. We have produced hundreds of projects that enliven imaginations, tell stories of Plymouth's rich heritage, bring children and the arts together in Festivals full of storytelling, theatre, science, the environment and visual arts. 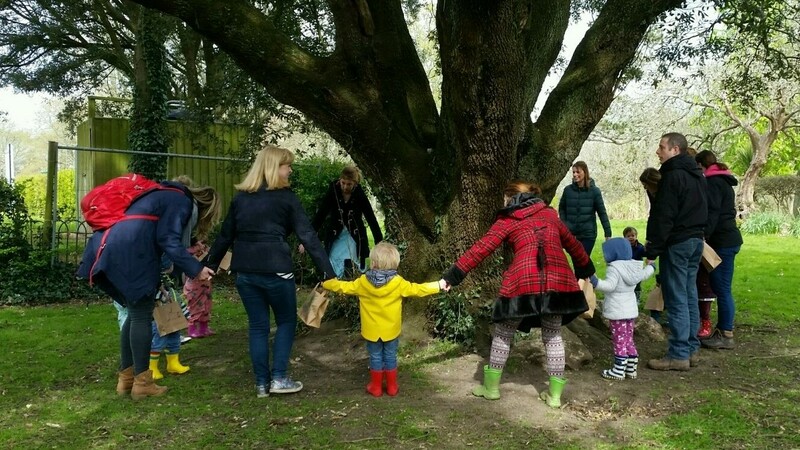 Our work aims to engage children and their imaginations, support early years speaking and listening, interactive engagement, supporting mothers and families and engaging people in cultural activity for all. We are a cultural hub of excellence creating community cohesion, by bringing families and children from different backgrounds together, creating valuable memories and instilling positive health and well-being. The building works are coming to the end. It is truly exciting, but there are those additional costs that pop in that would make the completion zing. So with your added support we can really make it happen and maybe even some added extras. Thank you! We have also had support from a number of building firms including Jewsons Community Fund, KKC construction, Research+Design Architects, Best Quality Windows, City Bus, Co-Op Distribution Centre and Co-Op Community Fund and MPC Plastering Contractors LTD. If your business would like to support our project please get in touch.  We have a wish list below for things that could help us to complete. To become an individual friend for the year to Stiltskin's Soapbox Theatre you get added bonuses including jumping the queues for first early bird tickets, discounts for tickets and events, invites to special friends days, an I've Crowdfunded the Soapbox Theatre badge and a mention on Facebook for your great donation. Thank you so much for your donation we will give you a shout out on our Facebook and Twitter pages to say thank you for your donation. Stiltskin's badges for our shows are very popular and have become collectors items. You can have your very own I've Crowdfunded Stiltskin's Soapbox Theatre badge. You will also get a shout out on our Facebook page to say thank you for your kind donation. Your family will be a friend of the Soapbox Theatre for a year by doing so you get added bonuses including jumping the queues for first early bird tickets, discounts for tickets and events, invites to special friends days, an I've Crowdfunded the Soapbox Theatre badge and a mention on Facebook for your great donation. With this generous reward you can choose a family ticket for four to any of our shows between now and September 2019. You also receive a special crowdfunding badge, become a friend of the theatre with special discounts and invites to events as well as a shout out on our Facebook page for your generous donation. Be a part of the Soapbox Theatre bubble family, specially inscribed bubbles with your name on, as well as becoming a friend of the theatre with discounts and invites to events, an I've Crowdfunded the Soapbox Theatre badge and a shout out on Facebook. Be a part of the Soapbox Theatre bubble family, specially inscribed bubbles in our supporters bubble bath, as well as becoming a friend of the theatre with discounts and invites to events and a Stiltskin Soapbox Theatre badge and a shout out on Facebook to thank you for your support.